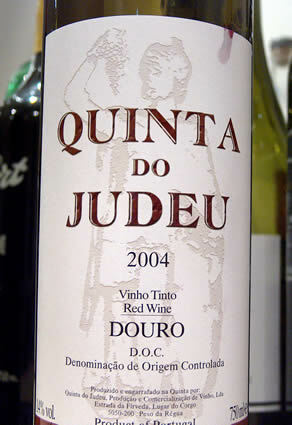 I'm adding to my earlier review of the 2003 (below), notes on the 2004 releases from this Douro newcomer. Based in Peso da Régua in the Baixo Corgo, they are neighbours to Vallado, and seem to be going in a decent direction. As well as the Quinta's vineyards, they also have 18 hectares in the Cima Corgo, near Pinhão. The Quinta is owned by the Carvalho family, who own the holding company responsible for the largest crane rental operation in South America, which indicates that this producer may be adequately capitalized. Just one wine to review from this new Douro producer. They seem to be sort of on the right lines: a solid first effort, but it’s quite a hard one to call: how will this develop?